While your product or service is what makes your business money, your success can also be influenced by other factors. 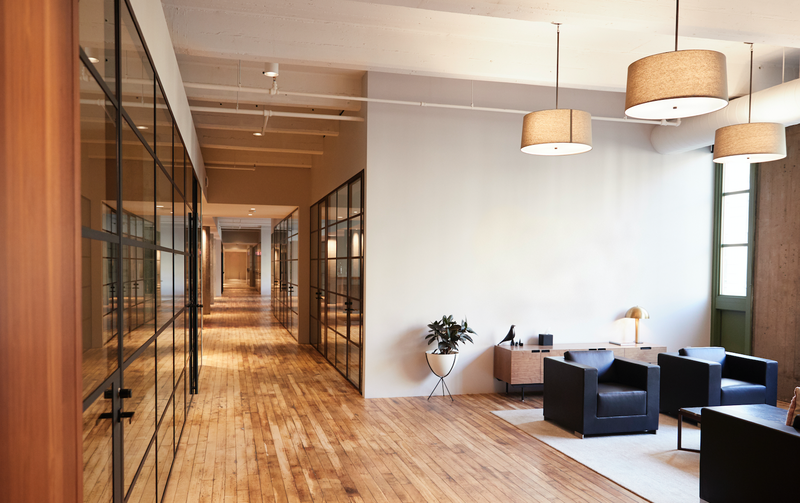 One thing you should consider is that the space you invite your clients to and which your staff occupies should be designed and geared towards productivity and prosperity. So how do you begin to make these changes and what should you be considering? We have a few tips to help you get started. Your business premises location is super important to your staff and your customers. While the rent in that tired old office park far away from any city centre might be very attractive, your staff and your customers won’t love you for choosing it. If your current location doesn’t fit these requirements, perhaps it’s time to start looking at different options. Ithala Development Finance Corporation are experts and boasts one of the largest rental property portfolios in KZN. Choose a location close to public transport for staff who need to use it, as well as a location central enough for customers to visit and easy enough to find. Having a clean business premises is a necessity. Firstly, pay someone or a service to clean your premises. Don’t assume that your staff are there to keep your premises clean unless you have hired them to do it. This doesn’t mean that they have a right to leave the place dirty, but they shouldn’t be dusting, cleaning the kitchen and washing walls when they have other work to complete. Ensure the cleaning staff or cleaning service keep all surfaces dust free, all windows clean and desks should be clear of clutter. Provide enough packing space so that boxes and files aren’t just left on any available surface. Create a warm, welcoming atmosphere in your reception area to welcome potential customers into your space. A sterile and cold environment won’t work here and might leave your clients feeling uncomfortable and unwelcome. If there’s any area where you’re planning to splurge, let it be the reception and waiting area. Carefully consider the flow of your space. How your staff needs to work and communicate will dictate this. Ensure you choose a design that allows the flow of creativity and energy through the office and the team members. Encourage engagement between staff and ensure they’re comfortable with their surroundings and the furnishings. Creating a happy and nice atmosphere for team members will increase happiness, engagement and productivity. For more inspirational stories you may visit their blog on www.myithalastory.com. Visit www.ithala.co.za for more business property inspiration and to speak to an experienced property manager and advisor.